Summer is the best time to find new outlets for dance, it’s always a relief from the routine of the year. Whether you are a professional or pre-professional dancer, what you do over the summer ultimately dictates what you will do for the rest of the year. This summer I will be visiting various festivals, talking to company directors and professional dancers, visiting studios around New York City, and updating with audition information as a how-to on summer dance for pre-professional dancers. All too often dancers are in the dark about these programs, so I wanted to create a tool for dancers to stay up-to date and be informed about all they can do. The most important part of starting your career as a dancer (Other than your technical Skill) is creating long lasting connections with choreographers, company directors, other dancers, and art lovers. Its no secret that it’s all about who you know. The only way to make this happen is to get out there and surround yourself with the crowd you want to be in. The cheapest and easiest way to get the most bang for your dance buck is to attend a summer festival. Not only do you meet the right people, but you also get the proper training. Because let’s face it, you could know a million people, but if your training isn’t up to par, you’re still not going to get the job. The next best way to meet people is to attend dance shows. Go to as many as you possibly can. This can get a bit costly, but in big cities like New York, LA, and Chicago, there are constantly free events where you can still see good dance. At shows you will not only get your dance history and research, but you will also start to notice that most of the same people end up at the show. And of course like always if you’re not in the financial position to go to a festival, or not in a city large enough to see shows, check out what summer workshops are in the areas surrounding you. They will be more cost effective because they are generally for a week or just a weekend, but still helpful because they put you in the atmosphere of dance, dance, dance as a lifestyle. 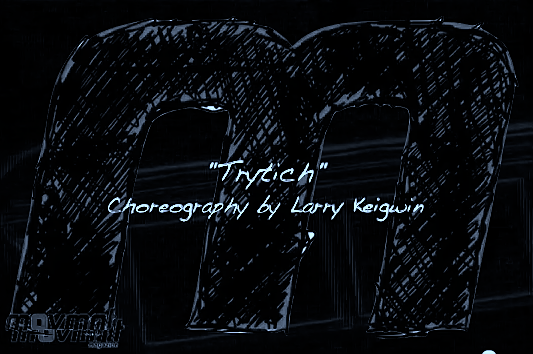 For my first Interview, I sat down with renowned choreographer, Larry Keigwin, Artistic Director of Keigwin and Company, to talk about his latest Work, “Tryptich”, which premiered at the Joyce last month. I first met Keigwin at American Dance Festival last summer and was fortunate enough to reconnect with him. I was even able to snag some rehearsal footage of the piece right before it was performed. Keigwin told me, “My fondest summer dance memories are both at American Dance Festival and Bates Dance Festival. They were hot!”If you don’t have a studio near you, check out some of your favorite companies and interviews on movmnt.com, watch video on youtube, or there are also video hosting websites like jigtv.com where you can can take classes from some of the best choreographers in the US right in your living room. Just dance as much as you can! You have to make it happen, no one else can do that for you. I Looove Larry, thank you for the post. He’s a great dancer.